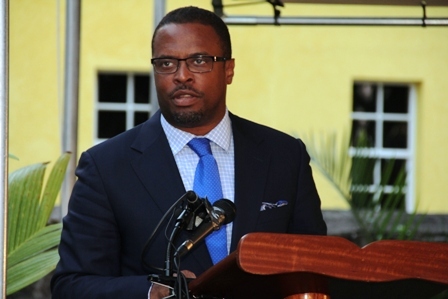 NIA CHARLESTOWN NEVIS (February 21, 2014) — Deputy Premier of Nevis and Minister of Tourism Hon. Mark Brantley received more happy news when he learnt that the London Times had named Nevis in fourth place worldwide as a destination where visitors could spend adventure holidays. In a brief comment to the Department of Information on February 20, 2014, Mr. Brantley expressed his elation. “The news that the island of Nevis has been voted number four of the top 50 adventure holidays in the entire world by the Saturday Times of London, is indeed welcoming news. 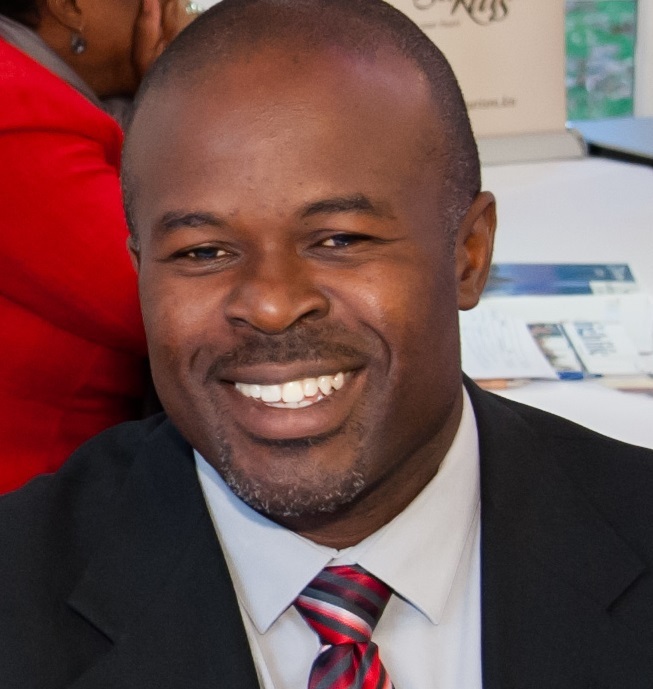 “I want to thank the good people at the Nevis Tourism Authority, Mr. Greg Phillip and his team, the people here at the Ministry of Tourism, our Public Relations (PR) Noel Mignott in New York and of course our new PR agency in London, Jane Hansom of Sponge Marketing [Worldwide] and to say that this, again, is yet another indication of the fruits of a considerable amount of efforts and a considerable amount of labour, to be four out of 50 in the world. They talk about the ability to attract biking, walking tours, the hike of Nevis Peak. All of these are matters that have captured the attention of the Saturday Times and their readers so we are very happy about this. “We see Sports and Adventure Tourism as being part of the package that is offered here in Nevis and we continue to make tremendous strides which will demand global attention on our beautiful jurisdiction,” he said. It read: “Compact, charming and friendly Nevis can’t boast the West Indies’ best beaches but has lots of other activities – one of the best of which is Nevis Peak. At 985m, climbing it is not a soft option (there’s plenty of scrambling over slippery and steep slopes) but the joy is that you can return to the plush Montpelier Plantation & Beach Hotel. Turkey placed first on the list for its wild Kayak, while the United States of America’s Rocky Mountains placed second and the multi-active Morocco placed third ahead of Nevis. Meantime, Greg Phillip, Chief Executive Officer of the Nevis Tourism Authority said in a brief comment that the accolade bestowed on the destination by the London Times travel writer was proof that Nevis offered a variety of activities for its visitors. “We considered this as something quite significant because it sort of puts to rest a lot of other things that people, travellers or usually its local people, who say Nevis does not have a lot to do, I think that [this accolade] emphatically says that, that is not correct. “For the traveller coming to Nevis there is a tremendous amount that Nevis has to offer and in fact our destination is a world class destination because it has so much to offer when you think of activities for people to do who are travelling for the enjoyment of a vacation,” he said. In response to what it meant for the island Phillip replied, “Well it means a whole lot for the island of Nevis mainly because it places us among some of the top destinations in the world. There were other destinations like Egypt and Turkey etc. on that list, so when Nevis can be listed so highly it says a whole lot for us. “What it’s going to do for us, is it’s going to cause us to be seen by a number of people in the world, who are looking for interesting places to go, where they can actually go and do things while they enjoy their vacation,” he said. According to Phillip, the NTA had already begun to capitalise on the publicity in the United Kingdom (UK). “This came out while we were in the UK a couple of weeks ago doing some promotions and we took full advantage of it. “Our marketing firm who we’ve recently hired in the UK have already started running a promotion in relation to this, to ensure that we spread the news even more because for a publication such as the Saturday Times in London to say such a thing about an island destination its publicity we know for sure we can’t afford and in addition, its publicity that we can well do with, at this point of our promotions of the island of Nevis,” he said. The NTA had early announced that it had recently appointed the new firm of Sponge Marketing Worldwide to handle its public relations and marketing thrust in the United Kingdom and parts of Europe.